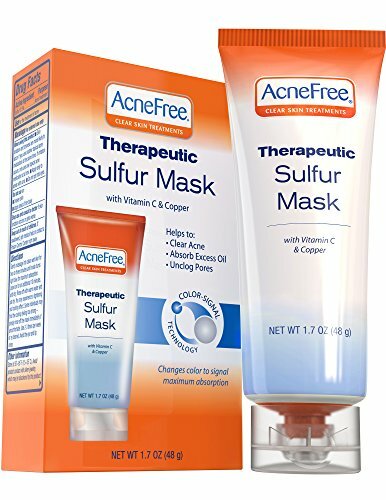 If you experience oily skin with acne, the AcneFree Therapeutic Sulfur Mask is the solution for you. This penetrating pore therapy soothes acne-inflamed skin and absorbs excess oils. This treatment is for acne or acne prone skin and also removes impurities, while redefining skin’s entire essence. You feel a cool facial tingle as the mixture massages your pores and revives your skin’s complexion. The secret is the Revolutionary Color-Signal Technology, which transforms the mask a blue tone once it’s completely absorbed and the treatment is complete. The process is easy and convenient to use, and helps to clear blackheads and whiteheads, as well as acne blemishes. If you have any questions about this product by AcneFree, contact us by completing and submitting the form below. If you are looking for a specif part number, please include it with your message.